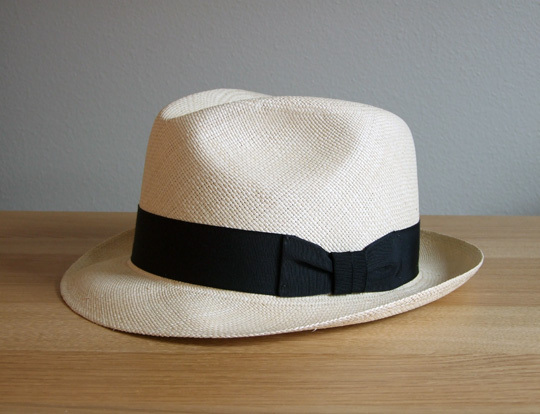 The next time you put on that crisp, cool “Panama” hat, remember to thank the Ecuadorians – they made it! This year their South American country will produce 4 million hats, 90 percent of which will be exported to the United States. And, as it has every year, Panama will get the credit. 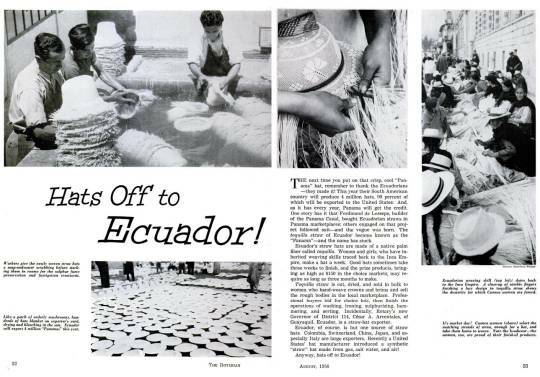 One story has it that Ferdinand de Lesseps, builder of the Panama Canal, bought Ecuadorian straws in Panama marketplaces; others engaged on that project followed suit – and the vogue was born. The toquilla straw of Ecuador became known as the “Panama” – and the name has stuck. 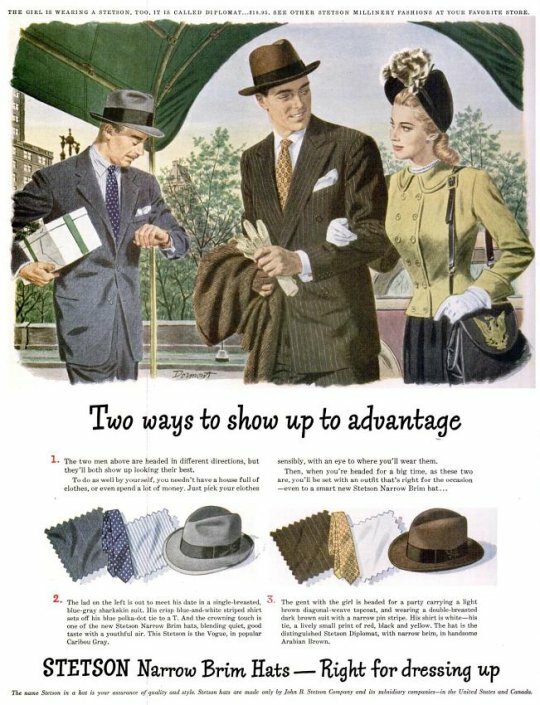 From the late 1940’s. Common hat models were the Stetsonian, the Diplomat, the Vogue, and the Casual. 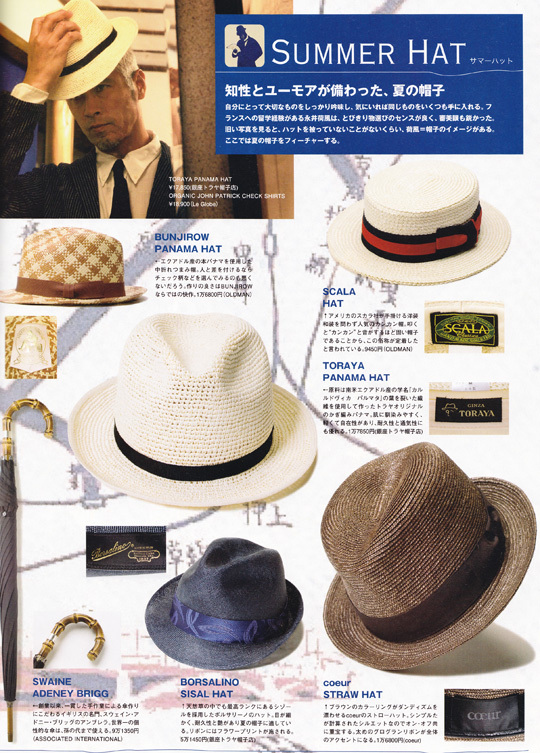 The results of my search – a Stetson branded panama hat with a plain ribbon and 2″ narrow snap brim. 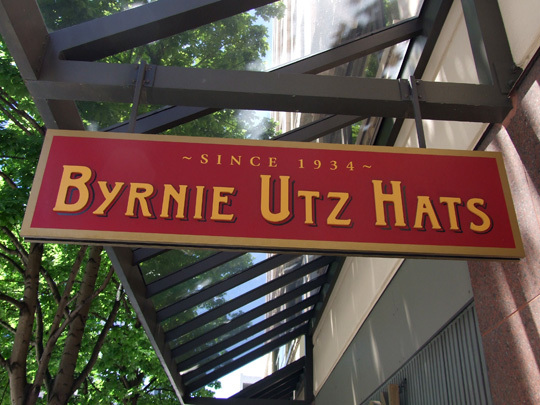 Not quite willing to buy one online yet, I instead stopped by Seattle’s only hat store – Byrnie Utz Hats. It’s been open since 1934 and the interior decor probably hasn’t changed much since. 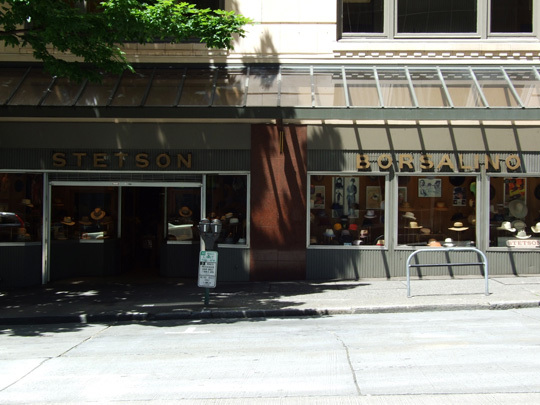 Brands carried: Borsalino, Stetson, Dobbs, Christys, Scala, and many many more. Some inspiration from Free & Easy to get things started. While shopping around online for a panama hat for summer, I came across this trailer for a documentary on how they’re made. The process of weaving them looks grueling, and it puts some perspective on why some panama hats can cost hundreds of dollars and more.